Prescriptive operations and maintenance is the next big step forward in the evolution of all stormwater asset management. This means moving from planned preventive maintenance to a state where required maintenance is predicted by the regular and systematic application of engineering/design knowledge and technology systems. Subsequently, a course of action is then prescribed to improve the system’s proper functionality and to reduce its rate of deterioration. With this method of operations and maintenance, the promissory reason for the design is more important than blindly following a maintenance plan. More specifically, each green infrastructure element is utilized to function for specific goals and reasons, whether that element be a bioretention cell for a combined sewer consent decree program or a wet pond for post construction BMP development. Therefore, we must operate and maintain the GI for that purpose. Much like the utility industry has found through this technique, there are multiple benefits to this type of operations and maintenance. Save money – Green infrastructure has only 30 years of O&M data and studies. With most of the maintenance having been performed by volunteer groups or not performed at all, this benefit is often the least quantifiable, but most beneficial. Typically, in the beginning of the design process, the client’s current staffing is evaluated and considered with regard to design for long term maintenance. However, this process fails to understand that ownership changes, staff retire, and these systems are no longer isolated to owners who understand how to maintain them. Only within the last 10 years have we been able to metric the typical annual costs of O&M per GI type and owner’s level of effort. 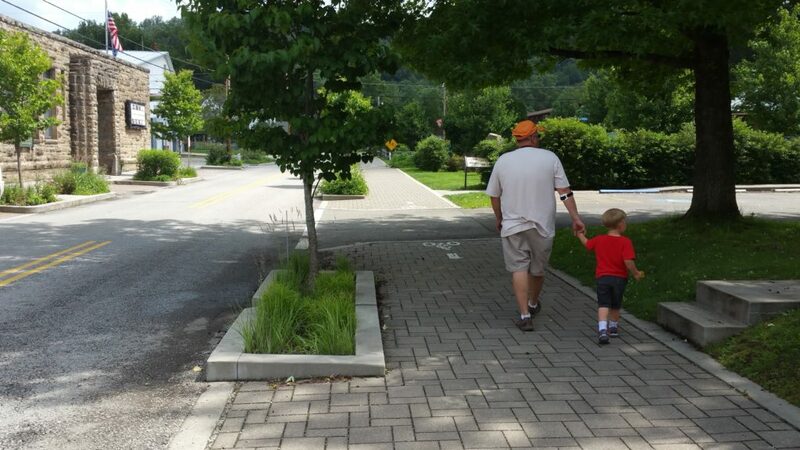 Maintenance and operations of green streets in Ohiopyle, Pennsylvania, provide for economic development through the separation of stormwater from their waste water treatment plant. 7. Amplified co-benefits – economic development. No one wants to live next to an eyesore. Eyesores don’t spur development. Prescriptive O&M utilizes smart review of a site to determine peak demands from the surrounding neighborhood to identify maintenance needs in terms of tidiness, color and general aesthetics. Prescriptive operations and maintenance provides the hierarchical training to teach ex-offenders on the job and provide them the vertical mobility to keep them as functioning members of our society. A. With predictive and reactive O&M programs, there is no vertical movement. You start off mowing and you keep mowing. Prescriptive O&M has many levels of skills and provides for both horizontal and vertical movement within the organizational chart. Each employee provides a skillset to the job and jobs are broken down into pieces – green and gray maintenance, seasonal maintenance and general operations – most of which can be learned on the job. B. Prescriptive operations and maintenance can open new opportunities for underserved populations. Ex-offenders often have trouble finding work. 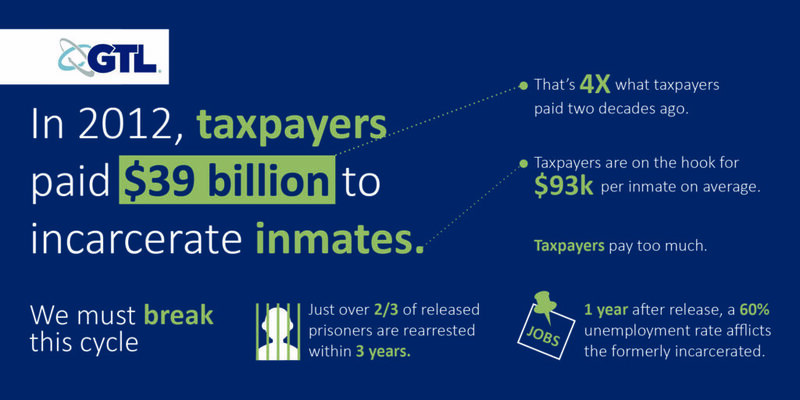 Lack of education and experience makes it difficult to have gainful employment right out of jail. Traditional O&M relies upon the experienced, trained workforce to create success. Due to its multi-leveled structure, Prescriptive O&M can provide entry-level employment and a way to move up. If you’d like more information on this methodology, please visit the “Green Infrastructure Guardianship” webinar on our website for the recorded session.